Traveloscopy Travelblog: Gideons still spreading the word. 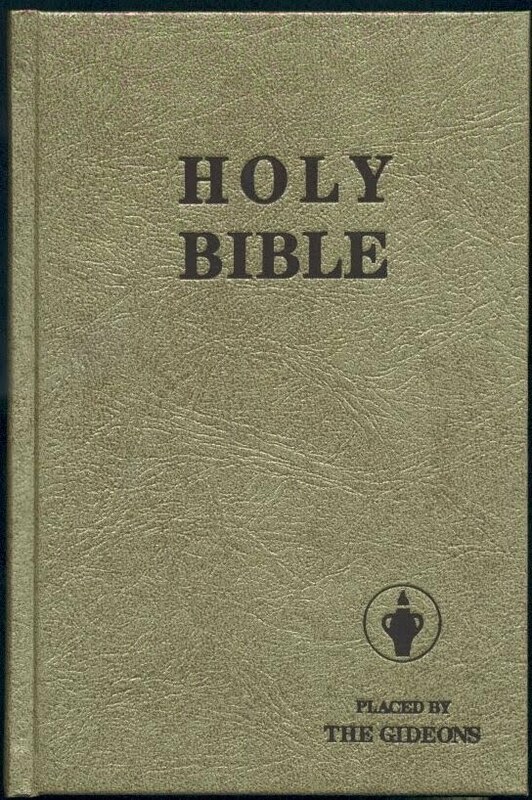 A Bible in every room. Gideons still spreading the word. A Bible in every room. Gideons still spreading the word. A Bible in every room. 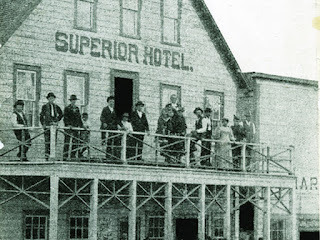 WHEN a couple of quiet commercial travellers were forced to share a room in the Central House Hotel in Boscobel in Wisconsin in late 1898 because it had been over-booked for a gathering of boisterous lumberjacks, they weren't to know that it was to result in the formation of one of the world's most extraordinarily pro-active Christian groups, and yet conversely its most publicity-shy. Because after those two men, John H. Nicholson and Samuel E. Hill realised they shared strong Christian beliefs and values, they went on to found an organisation of support for others in their profession who spent long and lonely hours away from families, living from hotel room to hotel room as they flogged their wares along the highways and by-ways of America. And in July 1899 that small but growing group met to formally create an organisation they would call the Gideons. And five years later, to provide spiritual comfort for all travellers – be they commercial, professional, holidaymaker or otherwise – they agreed that each man would contribute towards the cost of a Bible to be placed at the Reception Desks of every hotel at which they stayed. 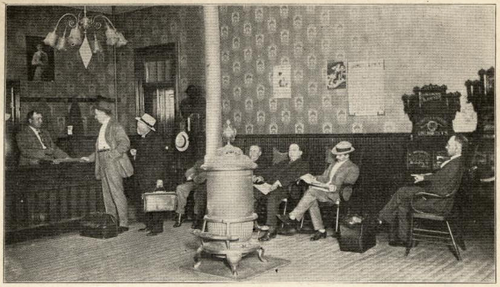 Then in 1908 when meeting in Louisville, Kentucky they voted to go even further than a Bible at every Reception Desk – they would put one in every room, of every hotel in America. The first 25 went into the rooms of the Superior Hotel in the boisterous little mining town of Superior, Montana and were paid for by one devout Gideon, Archie Bailey. Today, 117 years since that fateful night on which Nicholson and Hill found themselves thrown together in September 1898, the Gideons now comprise over 300,000 Christian business and professional men and their wives in 193 countries world-wide. And they've placed over 2-billion free Bibles and Testaments in 93 languages into places as diverse as 1- to 5-star hotels, motels and hostels, in hospitals and nursing homes, military camps, Polar-exploration bases, aboard cruise ships… and in police and prison cells housing those from overnight drunks to others awaiting the death sentence. And currently at an extraordinary two Bibles every second. Initially members of the Gideons met the costs of the Bibles themselves, but later Christian churches began contributing to the cause as well. 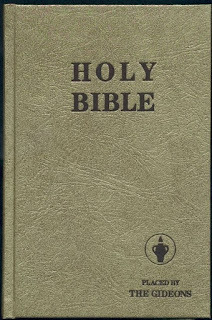 And in our own lifetime of travel scribbling, we've found only three hotels in Christian countries that did not have a Gideons Bible in their rooms. The first was on Vancouver Island in Canada, where our hotel GM said he'd told the Gideons they could put a Bible in every room – if they also gave a book of worship for every other major religion. "They didn't of course. But we relented," he said. "And while not in each room, we do have Gideons Bibles available at Reception." The second was in New York City where our hotel offered us a complimentary pet goldfish in a bowl during our stay, but not a Gideon's Bible… the hotel's remarkable explanation being that "society evolves." 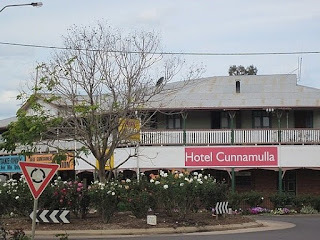 And more-bizarrely, at Cunnamulla in Queensland a local hotelier said that while there may not be a Bible at every bedside, they did have one for every room. "But they're kept in the office," she told us. 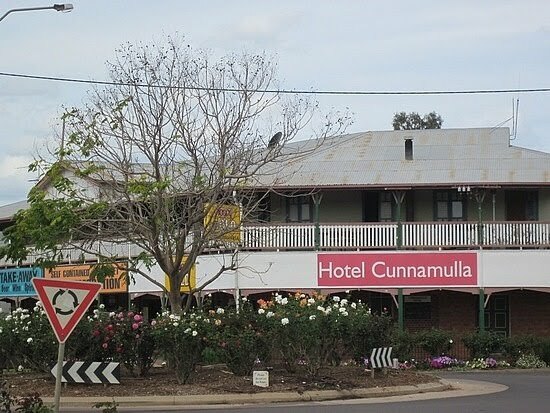 "At weekends when cattle station blokes come into town, some would rip the rice paper pages out of our Bibles because they reckoned they made the best roll-your-owns… now there's a note in rooms saying they can borrow a Gideons from the office if in spiritual need." The press-shy Gideons neither seek publicity, solicit funds publicly, nor promote themselves commercially, and while it took 93 years to 2001 to distribute their first 1-billion Bibles it took only 14 years from 2002 to 2015 for their second billion. And the big question so many ponder is: Do people actually read those Gideons' Bibles placed in so many diverse places around the world?. The answer, the Gideons tell us, is Yes – some 25% of those who find themselves in establishments with a Gideons actually picking-up and reading some part of it.